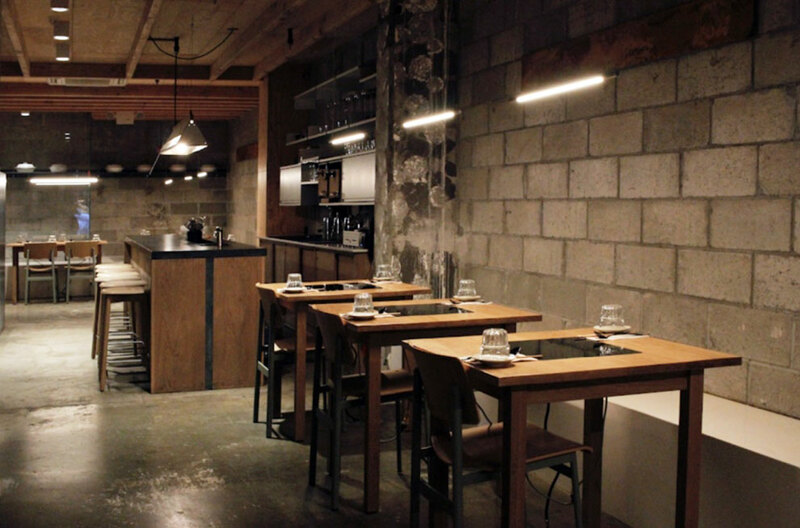 Thanks to recent popular establishments like Atoboy, Atomix and Her Name is Han, the NoMad neighborhood is rapidly emerging as a destination for very fine Korean dining experiences. The latest addition is O:n, located on Madison Avenue, which last month officially introduced authentic Korean hot pot dining to the neighborhood. O:n (pronounced simply “ON”) is the latest brainchild of Hand Hospitality, who just last summer opened the well-reviewed Yakitori restaurant Nonono (also located in NoMad). If you’ve never had Korean hot pot, it’s a communal dining experience vaguely similar to that of your favorite fondue restaurant. It differs in that the ingredients for each hot pot are thoughtfully selected, and diners cook the ingredients in a pot of delicious boiling stewed broth on an induction burner set into the table. There’s a careful methodology and sequence to getting it right, and O:n goes to great lengths to help diners experience it properly—even going so far as posting the Order of Meal on its menu. The staff starts your meal by cooking your choice of seasoned rice tableside and by beginning to cook the broth; ten minutes later, they bring out complementary appetizers; and ten minutes after that, the hot pot comes out with ready-to-cook ingredients according to your menu selection, followed shortly thereafter by noodles. Hot pots themselves can be ordered to serve 1-2 or 3-4 people at a table, with selections that include Tomato Seafood (tomato, blue crab, shrimp, scallops, sea bass and other selections); Bulgogi with Burdock (prime beef, burdock, oyster mushrooms, scallions and shishito peppers); Chicken with Perilla Seeds (including onions, carrots, leeks, garlic and bacon); and several others to suit different tastes. Of course, you can pair your meal with a selection of beer, wine or uniquely crafted tea-infused cocktails. Set in a purposefully industrial-minimal dining room, O:n is designed to draw focus on the food and the communal experience, rather than the surroundings. Bring a date, bring coworkers or bring the family to experience Korean hot pot at NoMad’s newest establishment. Sunday – Thursday: 5:30 p.m. – 11 p.m.